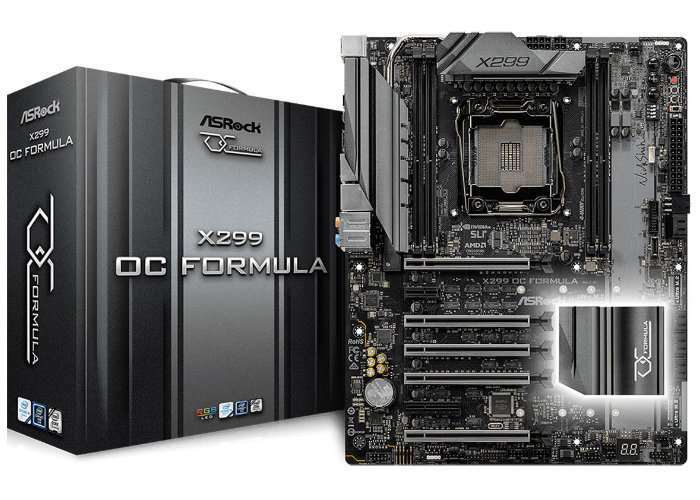 ASRock has unveiled a new addition to their range of motherboards this week, announcing the impending launch of the new ASRock X299 OC Formula motherboard. The new motherboard offers a “rock solid” CPU VRM design with a 13 power phase to offer enhanced overclocking capabilities and performance at the lowest temperatures, together with 2 power phase that ensure your systems memory area’s stability. Get the maximum memory performance! The X299 OC Formula is dedicatedly designed with a special 8-layer PCB layout that makes it possible to support Quad-Channel memory technology (one dimm per channel). Users may expect to reach a jaw dropping DDR4 4600Mhz frequency. ASRock’s OC master Nick Shih can even rocket DDR4 memory’s performance to an amazing 4800Mhz merely with air cooling on X299 OC Formula. What’s more exciting, this superb overclocking motherboard can even meet the fastest XMP profile modules. ASRock is all trilled to announce that our X299 OC Formula is the world’s first and only motherboard that supports the soon-to-be-announced DDR4 4500 XMP profile DRAM modules with Intel Kaby Lake-X processors. DRAM makers such as Corsair, G.Skill and Team Groups are all working closely with ASRock to let extreme geeks enjoy the maximum memory performance from your rig!